In August, when the fig trees are laden with fruit, this recipe is always a winner at our house. Serve as a starter or as a main course. Delicious! Simply pluck the fresh figs from the tree and slice off the top and bottom of each fruit. 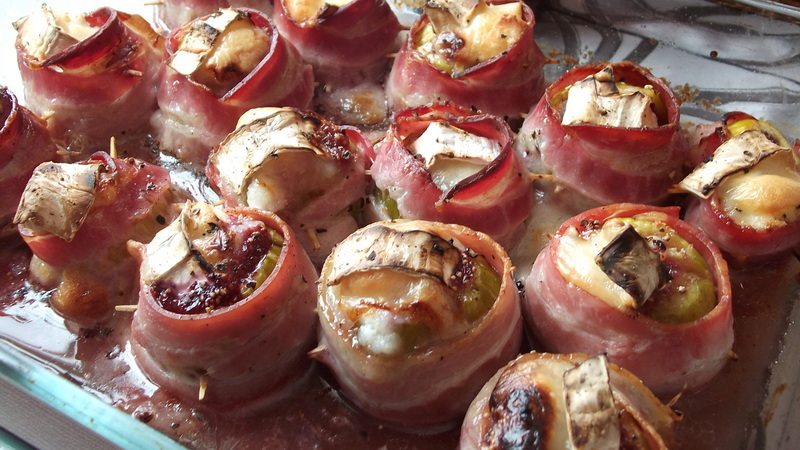 Cut a cross into the top of each fig and stuff with a square of goat´s cheese. 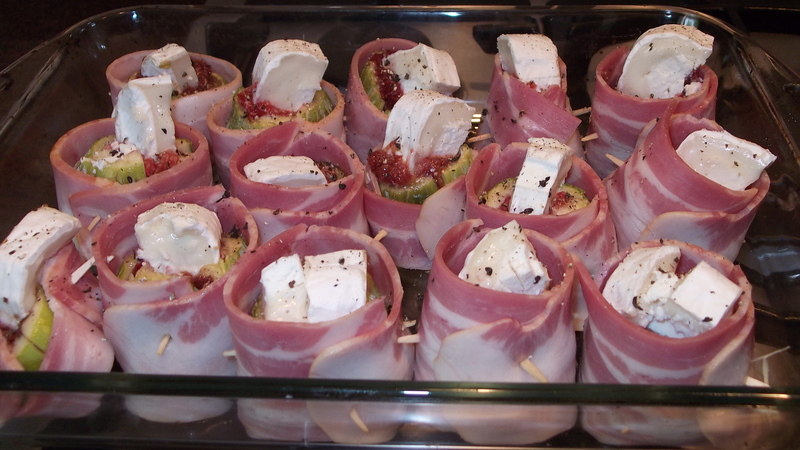 Wrap in a rasher of smoked bacon and skewer with a cocktail stick. Bake in a hot oven for approx 20 minutes. We have fig trees in the garden which are full of fruit right now!